Allows candidates to claim Credentialed Community Language (CCL) points, which may be used towards a points-based migration visa. Give the sense of what is said by the speakers and demonstrate good quality language in both English and the LOTE. 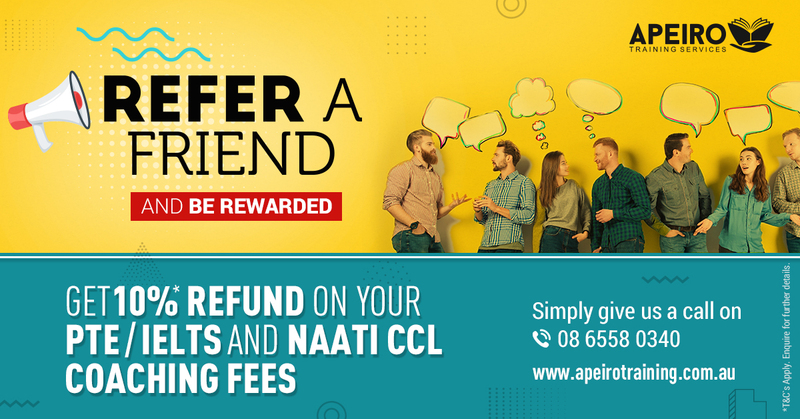 Lodge application with NAATI for CCL Test> Unique NAATI number Issued> Test date confirmation and Payment Processed > test results usually issued by 8 -10 Weeks. Two dialogues of 300 words each, between an English speaker and a speaker of the LOTE are given in two differing subject areas. In the Dailogue Interpreting Part, you are required to transfer the meaning of what is said by each speaker into the other language (i.e. English into LOTE and LOTE into English). Each dialogue is approximately 300 words, approximately half in English and half in LOTE – Language Other Than English. These are divided into segments that do not exceed 35 words each. The dialogues are designed to assess the candidate’s ability to serve as a channel of communication between two persons who do not speak the same language. Each dialogue receives a mark out of 45. In order to pass, a candidate needs to score at least 29 out of 45 for each dialogue and score at least 63 out of 90 overall.